At the risk of mixing metaphors, if Achmea (Slovak Republic v Achmea Case C-284/16) killed intra-EU investor-state arbitration, and the European Commission’s Communication COM(2018)547/2 of 19 July 2018 knocked the head off its zombie corpse, then the Declaration of the Representatives of the Governments of the Member States of 15 January 2019 on the legal consequences of the Judgment of the Court of Justice in Achmea and on Investment Protection in the European Union drove a stake through its heart. In short, it would appear that intra-EU investor-state arbitration is finally dead. Achmea applies equally to Energy Charter Treaty (ECT) arbitrations – “Given the primacy of [EU] law,” Article 26 ECT (providing for investor-state arbitration) is “inapplicable”. The EU’s participation in the ECT only “created rights and obligations between the EU and third countries”. Some have suggested that this is actually a statement of what the EC wants the position to be, but which ignores legally-binding obligations which Member States, and the EU itself, have undertaken. Indeed, subsequent to the Communication, a number of tribunals have held that Achmea does not apply to ECT arbitrations,1) because the EU itself is a signatory to the ECT and there is no carve-out for intra-EU disputes. Similarly, it has been held that Achmea does not apply to ICSID arbitrations, given the fact that Articles 53 and 54 of the ICSID Convention (which pre-dates the EU constitutional treaties) provides that an ICSID award is binding on a signatory state, and must be recognised and enforced as if it were a final judgment of signatory state’s national court. The Vienna Convention on the Law of Treaties provides that treaties should be interpreted in accordance with the “ordinary meaning” of their terms. It does not permit a tribunal to “rewrite the treaty being interpreted” or to substitute a plain reading of the treaty with other international law rules that would contradict its terms. The ECT contains clear wording by which signatory states, including EU Member States and the EU itself agreed to refer disputes to arbitration. Nothing in the ECT indicates an intention to carve out intra-EU disputes from arbitration. A “disconnection clause” could have been included, as it had been for other classes of dispute, but the ECT contains no such wording. Indeed, the EU had proposed such a clause be included in the ECT, but dropped this before the ECT was signed and ratified. 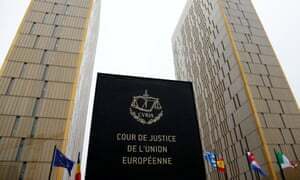 There is no principle of public international law, or indeed EU law, which requires the ECT to be interpreted so as to give priority to external EU treaties and/or a court judgment interpreting those treaties. The logic of the Vattenfall position is difficult to counter. Indeed, the main Declaration does not attempt to do so: instead it applies a type of self-justificatory, pull-yourself-up-by-your-own-bootstraps circular logic which ignores the possibility that the EU has the power to agree to something in a multilateral treaty which would otherwise be contrary to its internal rules. The applicability of Achmea to ECT arbitrations is currently being considered by the Svea Court of Appeal in Sweden (the Novenergia II appeal), which has been asked to refer the question to the CJEU. 1. Member States “[b]y the present declaration… inform” tribunals in all pending intra-EU BIT and ECT arbitrations about the legal consequences of Achmea as set out in the Declarations; and undertake, both as defending Member State and the claimant investor’s Member State, to inform tribunals of those consequences. This appears to be a sort of universal submission to the effect that arbitration clauses in intra-EU BIT or ECT violate EU law and hence arbitral tribunals have no jurisdiction. It appears to be based upon a belief that tribunals have accepted jurisdiction in ignorance of the EC’s and Member State’s opinion on how Achmea applies, rather than a reasoned rejection of such arguments. 2. Defending Member States will request their national courts and any third country courts to set aside intra-EU BIT and ECT awards or not to enforce them due to a lack of consent to arbitration. 3. Member States “inform the investor community that no new intra-EU investment arbitration proceeding should be initiated”. Some may consider that the tone of this undertaking (and that of the first mentioned above), amounts to a warning. It will be interesting to see whether investors (and tribunals) heed this “warning”. 4. Member States which control organisations which have brought investment arbitration claims against another Member State will withdraw those claims. 5. Member States will terminate all intra-EU BITs by way of a plurilateral treaty or (if more expedient) bilaterally, ideally by 6 December 2019. 6. Settlements/awards in intra-EU BIT and ECT arbitrations which cannot be annulled or set aside and were voluntarily complied with or enforced before Achmea should not be challenged. It is not immediately apparent what right to re-open concluded settlements or unwind enforcement measures is being given up here. The wording of this last commitment is somewhat vague, but clearly the intention is to do whatever needs to be done in order to apply the principles in the Declarations to intra-EU ECT arbitrations. Because the question of Achmea‘s applicability to the ECT is being considered in the Novenergia II appeal, and perhaps in recognition of the Vattenfall counter-arguments above, two additional Declarations (one by Finland, Luxembourg, Malta, Slovenia and Sweden and another by Hungary) omit the main Declaration’s conclusions about, and commitments with regard to, the ECT. Hungary’s Declaration goes so far as to state that in that Member State’s opinion, Achmea does not apply to ECT claims. By the Declarations, the Member States have fallen in line with the EC. The intention is to bring all existing intra-EU investor-state arbitrations to an end by the end of 2019, and prevent any new intra-EU arbitrations. By tackling not only the arbitrations but the treaties themselves, and “informing” tribunals and investors that arbitrations cannot be commenced or continue, Member States intend a comprehensive extermination of intra-EU arbitration. In this regard, the Declarations consider that sunset and grandfathering clauses found in intra-EU BITs (by which the treaty’s protections and right to bring claims survive termination for a period of time) are inapplicable. This might be challenged by investors either as a matter of the interpretation and application of the treaties, or on the basis of a denial of access to justice (protected under the EU’s Charter of Fundamental Rights). However, it may be that the instrument of termination will include a provision whereby the signatory states amended/delete the sunset clauses first and then terminate the relevant treaty. The one possible survivor could be ECT arbitrations, clinging on by the thread of the Novenergia II appeal and the “minority” Declarations. But it would be a brave person who would gamble on the CJEU not extending its Achmea reasoning to the ECT. Perhaps the time for obituaries is not yet nigh, but the headstone is already being carved.